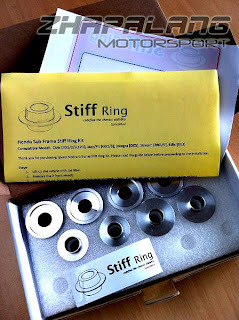 Stiff Ring made of special formula aluminum which used in aircraft frame building. 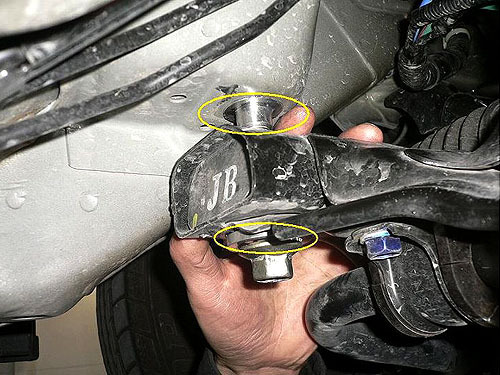 It used to correct the car body basic geometry by filling the gap between the sub frame bolts, sub frame and the car body bolt hole. Car engine, transmission, suspension and the body shelf are mounted on the sub frame. Thus, correcting the geometry setup with Stiff Ring, the car handling will be improved significantly.